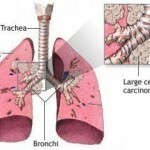 Pneumonia refers to an inflammatory condition of one or both the lungs. It can occur due to various causes such as virus, bacteria, fungi, parasites, infections or physical or chemical injury to the lungs. The following include the signs ans symptoms of pneumonia. During the initial stages, the patient may experience symptoms similar to common cold such as sneezing, coughing, having a sore throat and so on. This could be followed by high fever with chills and coughing with sputum. Sputum can be discolored and sometimes, the patient may also cough up blood in the sputum. Some patients experience shortness of breath. Some individuals develop a condition called cynosis in which their skin color becomes dusky or purplish. This condition is called cyanosis. This is a result of the blood in the body being poorly oxygenated. This condition is marked by a bluish hue on the lips. This bluish color may be present in the nail beds also. This happens when the blood does not receive sufficient amount of oxygen. Some patients experience a sharp pain in their chest when they try to take in deep breaths. This pain is referred to as pleurisy pain. While examining the patient using a stethoscope, the doctor may detect coarse breathing and crackling sounds, if the patient is suffering from pneumonia. 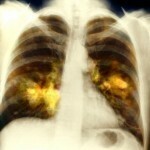 A chest x-ray is usually done to confirm if it is pneumonia. Blood tests will also be recommended to detect the presence of pneumonia. Another indication of pneumonia could be the presence of the bacteria or fungi causing it, in the sputum, coughed up by the patient. When examined under a microscope, the bacteria or fungi can be identified and pneumonia can also be diagnosed. However, it is important that the sputum sample contain some saliva from the mouth of the patient and also, it should be delivered for examination without much delay. This is because if there is too much of time lag, the non-infecting bacterial growth may predominate the presence of the infection causing bacteria. A procedure called bronchoscopy may also be performed on the patient to find out if he / she has pneumonia. In this procedure, a flexible, thin tube with light is inserted into the nose or mouth of the patient after administering local anesthetic. Through this light viewing tube, the doctor can clearly see the breathing passage and sample of the infected area can be collected for further examination. Bacterial pneumonia is usually treated using antibiotics. The treatment process also depends on other factors such as the age of the patient, whether the patient drinks / smokes, if he / she has any chronic medical conditions, allergies and so on. Medicines maybe given to combat fever. These could be over-the-counter drugs such as acetaminophen or tylenol. If the patient suffers from severe shortness of breath or if the level fo oxygen in the bloodstream is lowered significantly, the doctors may recommend that the patient should be admitted in the hospital and given oxygen. If the patient has the habit of smoking, the doctors may advice that the patient should stop smoking as this can weaken the body’s ability to fight the infection and delay the healing process. The following simple preventive measures can be implemented to avoid getting pneumonia. It is best to get influenza shots to avoid pneumonia. It is also advisable to get the pneumococcal vaccine to prevent getting pneumonia. This vaccine is effective for 5-10 years, to fight against the infection. 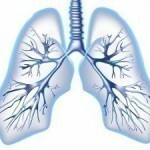 If the signs of pneumonia are detected and treated early, it will be relatively easy to cure it. With ongoing research, it is expected that more vaccines will be developed to eliminate the disease.